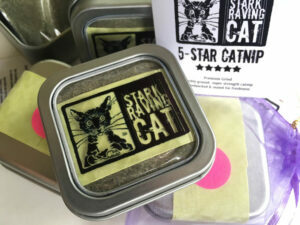 You are here: Home / All Products on Stark Raving Cat / You Had Me at RAWR! 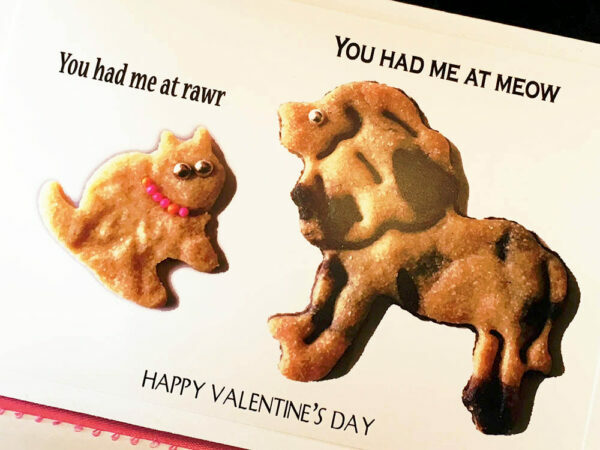 You Had Me at RAWR! 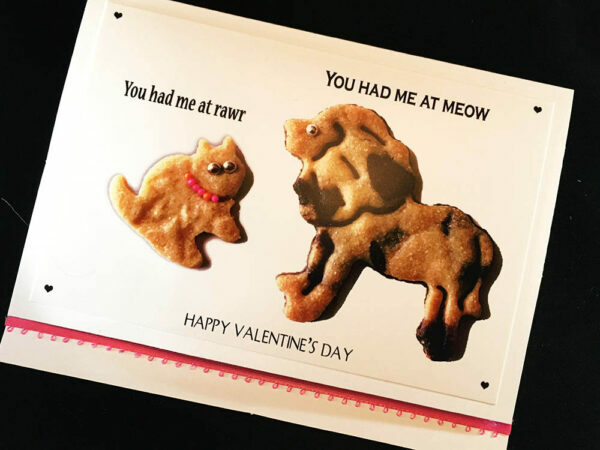 “You had me at RAWR. 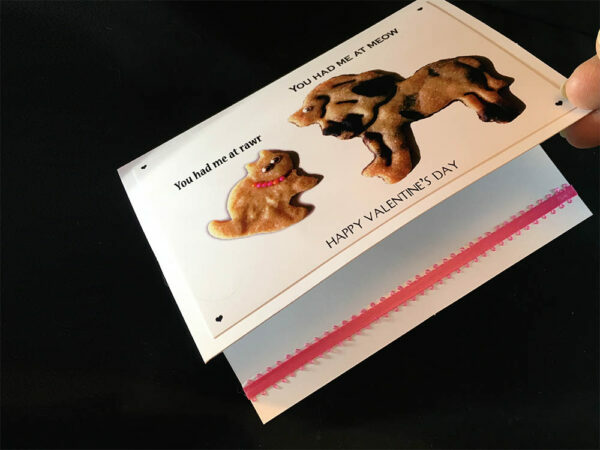 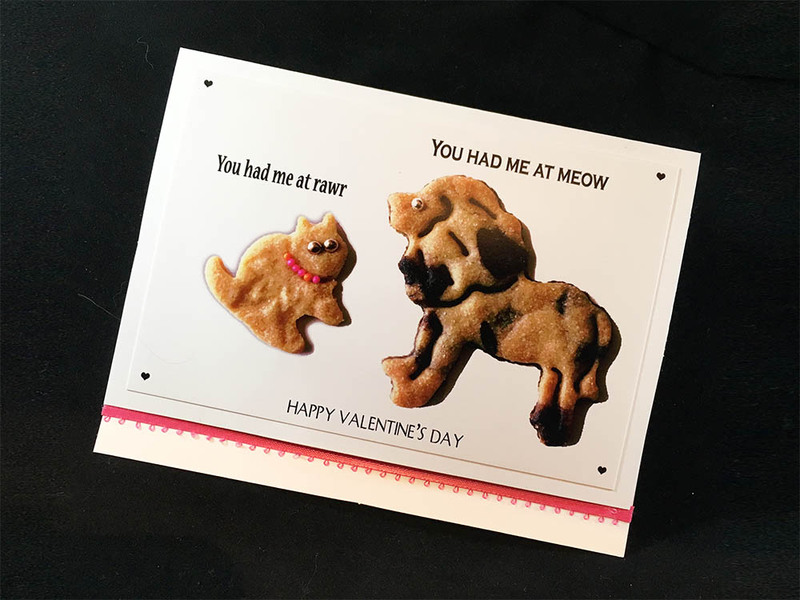 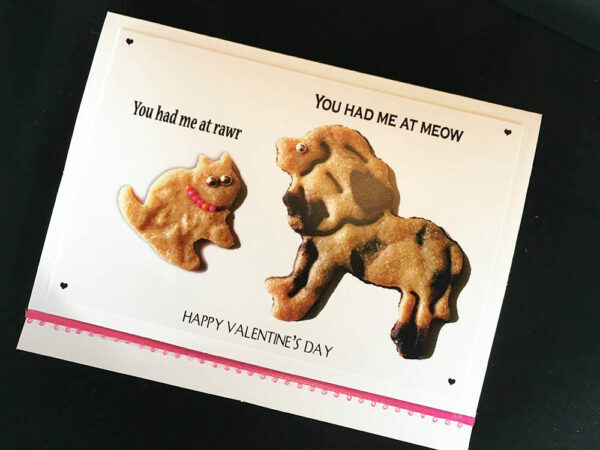 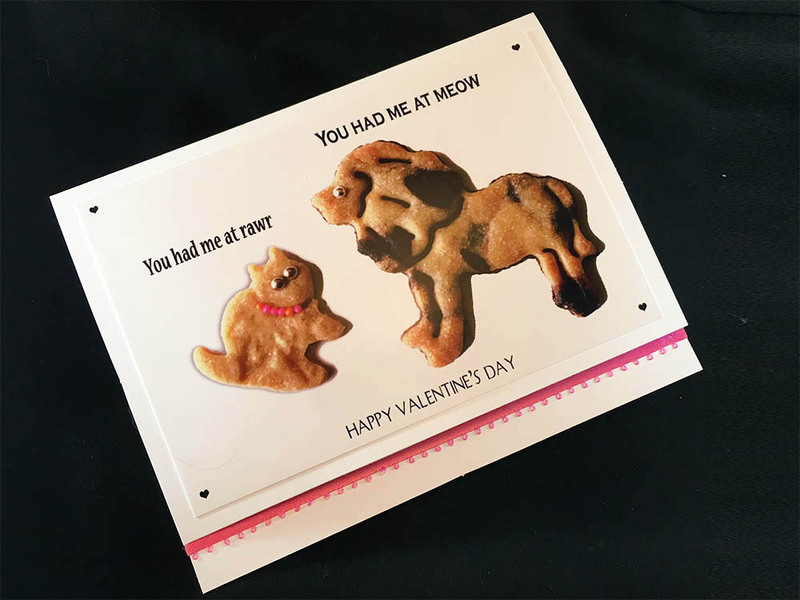 You had me at meow.” Send our Cookie Cat Card to your lover or Valentine…or your favorite cat. 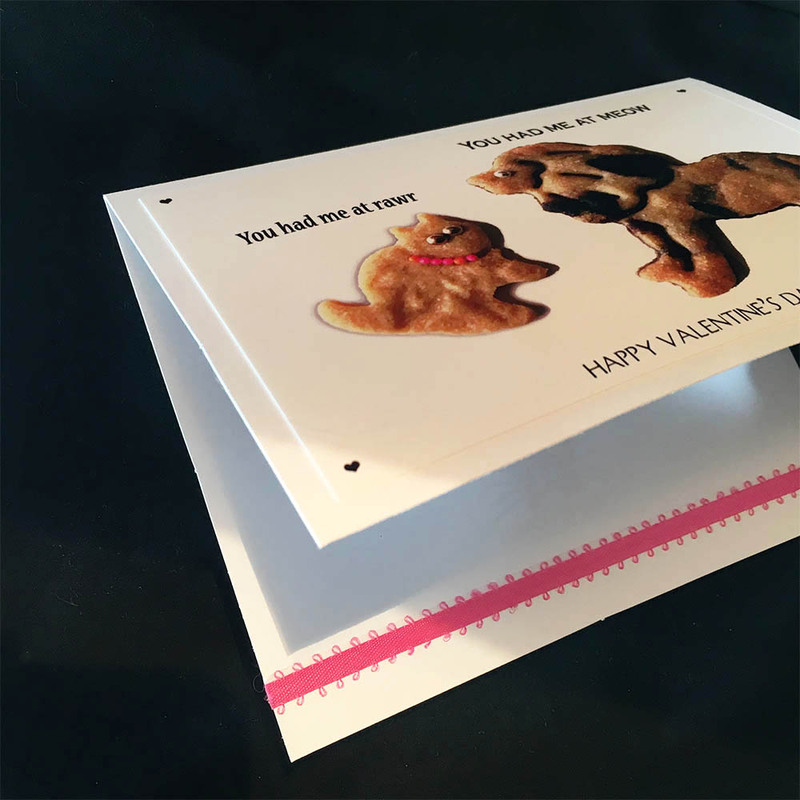 Deluxe card: A satin ribbon peeks out from under the flap, added by hand for that special touch. Printed in-house, on high-end photo paper, and layered onto a 5×6.5-inch card (blank inside). I’m a former cookbook author and design these cookies, each with its own personality. Every detail is handcrafted with love – from cookie to card, and every step in-between. 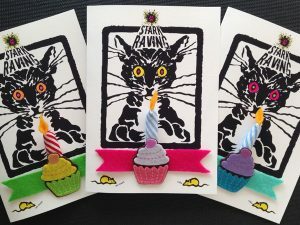 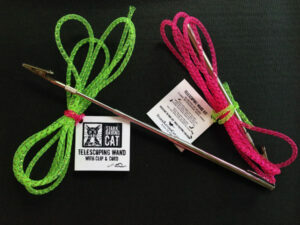 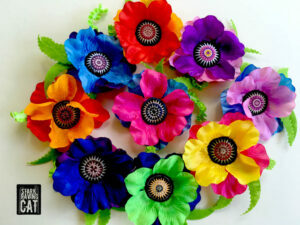 I’m the owner of StarkRavingCat.com and StarkRavingCat on Etsy — a bestselling shop of handmade cat toys. 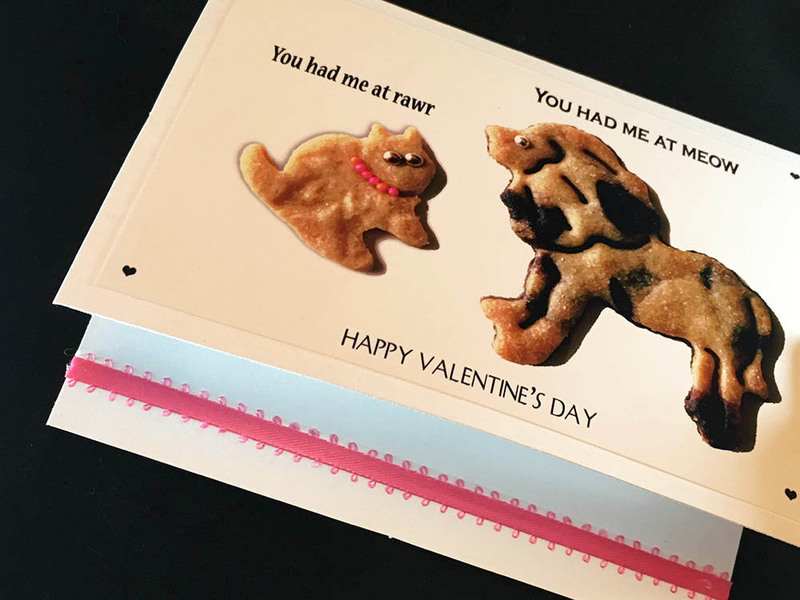 I’m also a former cookbook author, and I handmake these cookies, each with its own personality. 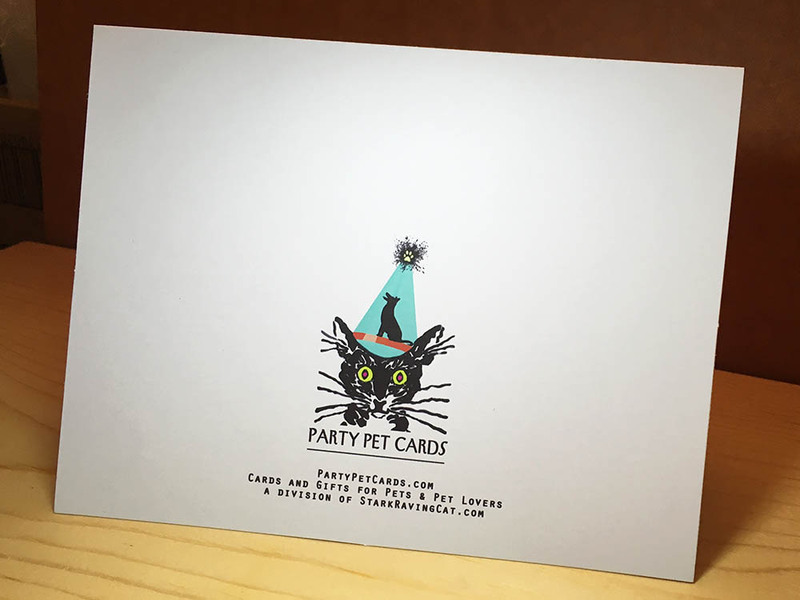 Then I design the image, print it in-house on high quality photo paper, and layer the printed image onto folded card stock. 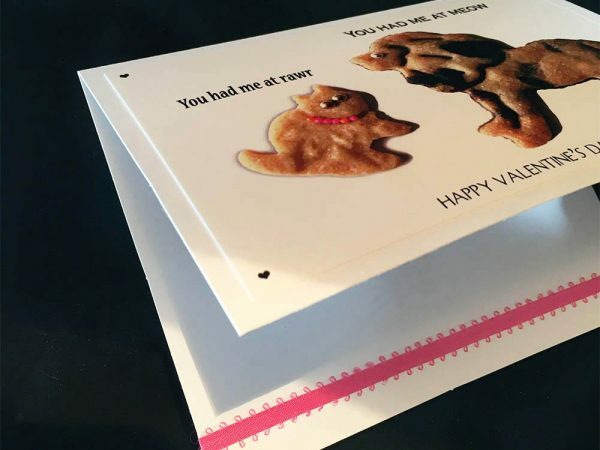 Every detail is handcrafted with love — from cookie to card, and every step in-between.